An all weather Towpath now links Northwich and Winsford and has given locals better access and an easy way to enjoy the river landscape. It was previously a very muddy path which only a select few were able to make use of however the final link between Vale Royal Locks and the Blue Bridge has opened the river side up to a wide range of people. The last kilometre of the towpath was delivered by the Saltscape Landscape Partnership and in total cost £125,000. 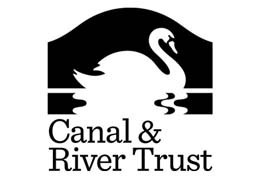 This was made up of a £60,000 grant from WREN, secured through the Canal & River Trust; £50,000 from the Heritage Lottery Fund and £15,000 from Cheshire West and Chester Council. 1km of enhanced towpath between Winsford and Northwich.